Deep in Native American history and natural made wonders, your Arizona vacations are sure to please the entire family. 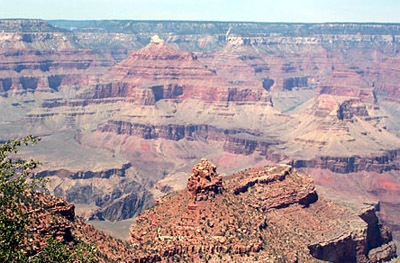 The Grand Canyon is generally the reason people choose Arizona vacations. The Grand Canyon is over 277 miles long. It is a colorful; and steep gorge that has been produced by the erosion caused by the Colorado River over millions of years. The Anasazi Indians were the first to inhabit the region. The Canyon brings five million sight-seeing tourists to the area annually. There are many road trips that will carry you along the great walls of the Grand Canyon. The Chapel of the Holy Cross was designed by Marguerite Brunswig Staude, a student of Frank Llyod Wright. Built in 1957, the chapel extends out from the red rock walls in Sedona. Maybe a trip to the Vortex spots is what your spirit needs on your Arizona vacations. The Vortex Spots of Airport Mesa, Bell Rock, Boynton Canyon and Cathedral Rock are said to bring our emotional and spiritual bodies into alignment with the heartbeat of the planet. The Artchner Caverns were discovered in 1974 but not made public until 1988. It is believed that there are still areas of the caverns that are undiscovered. A four star resort create from the Tanque Verde Ranch, which was founded in 1868. A quaint rustic charm with timber beams and old wooden floors flow throughout the resort. They are equipped with one of Arizona's largest riding stables. With spacious rooms and fantastic food, you will want to look no further. There are many sight seeing adventures on your Arizona vacations. While planning your Arizona vacations keep in mind your destination vacation spot so you can find the sights that are right for you. Package deals are often available to the resorts and dude ranches.